My son have a penpal. They are excited to write to each other. My daughter was very keen on getting one for herself. So I ask a mom in another state, who is in our mom's group, if her daughter would like to be my daughter's penpal, and voila! She is the book writer kinda girl, and boy does she LOVE to write! 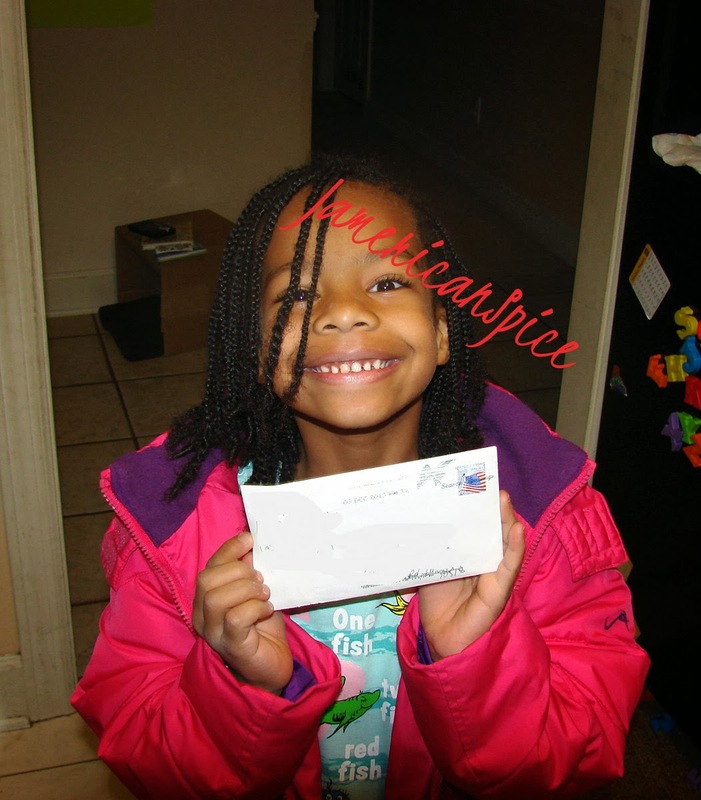 She received her first letter from her penpal and she is very excited! Her penpal was the same too! I remember those days of penpals as a child. So exciting! Long long waits for letters to come! Sometimes months! Did you have a penpal as a child? I just saw that I was featured over at DudeMom! That is so awesome. You'll know her from her seriously funny and cool posts and those absolutely gorgeous kids of hers! Thank you girl. I do appreciate you! I had a penpal, and I vaguely remember it. Hubby had one and he kept all of the letters (all the way from Finland!!). I had a couple! I loved writing and learning about all those great countries . It was awesome! I had pen pals as a kid and even as recently as 2 years ago. It is great that your children have pen-pals Colette! My twin and I started corresponding with pen-pals in our early years of high school and I still correspond with some of them and even some of my late twin's pals. It is only that these days we mainly exchange emails.Guess what?! My mom had an American pen-pal for over 68 years. She even came to Jamaica and met my mom. I met her also. Sadly she died a few years ago. So sad that your mom's penpal died. But what a blessing to share in so many lives. Funny, I had a penpal and was so excited about getting mail but it did not last long. I was in the military. Ahh yes the military can be consuming. I did have a penpal! She was from England I and was so excited anytime I received a letter. I did have a penpal. It was great. I think writing letters in general is a lost art. That is so true. That's why I'm so excited for my children to be apart of this experience. I had tons of pen pals when I was a kid. My oldest daughter is in French class and every year they get a pen pal from France. Wow! That is wonderful Cascia! I'm so glad your daughter is having this experience! I didn't but my husband did. His penpal was a girl, that lived in Japan. I love penpals from out of country. So much to learn! I remember in elementary we had pen pals with some older folks who came to the school periodically to help volunteer. It was good fun. But I don't really remember too much of it since I think it was like 2nd grade. The years do take our memories sometimes.